Indeed the presidency of the Council rotates among the EU member states every 6 months. During this 6-month period, the presidency chairs meetings at every level in the Council, helping to ensure the continuity of the EU's work in the Council. Member states holding the presidency work together closely in groups of three, called 'trios'. ENERGY UNION AND CLIMATE CHANGE: For the Dutch Presidency, regional energy cooperation remains the main step towards market integration and security of supply. Moreover the Presidency will continue working on the energy dossiers presented during the 2015. Indeed the European Commission has already presented the first legislative proposals under the Energy Union strategy, including the revision of the Energy Efficiency Labelling Directive and a proposal to reform the EU Emissions Trading System (ETS). Taking into consideration the Paris Agreement (the agreement set the target for 194 countries to keep global warming “well below” 2Co but without being legally binding) the Dutch Presidency will work on the foreseen EU Commission legislative proposals implementing the energy and climate framework for 2020-2030, namely on non-ETS sectors such as the LULUCF, and the development of a new renewable energy approach. EU ETS reform - Proposal for a Directive to enhance cost-effective emission reductions and low-carbon investments; the Dutch Presidency hopes to make progress on this file. Waste management – the Commission presented four proposals under the Circular Economy action plan on 2 December 2015, including long-term targets to reduce landfilling and to increase preparation for reuse and recycling of key waste streams such as municipal waste and packaging waste. This will be a major issue for the Dutch Presidency. 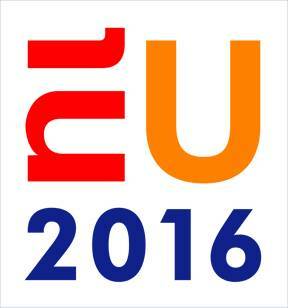 TRADE: The trade agreements are clearly part of the major commitment of the Dutch Presidency. The proposal for a decision to sign and conclude a free trade agreement with Canada (CETA) will be adopted by the Commission during the 2nd quarter of 2016. EU-Japan free trade talks will be accelerated, in view of reaching an agreement during the Dutch Presidency. The Presidency will also follow-up to the 10th Ministerial Conference of the WTO held in December in Nairobi and shape the aid and trade agenda at EU level. CONSUMERS PROTECTION: The Consumer product safety package and the market surveillance of products and consumer product safety files have been awaiting Council´s position since their adoption in Parliament in April 2014. According to rumors both dossiers could possibly be addressed by the next Presidency. G7 Summit, Japan (26-27 May).